The Galaxy Note series was Samsung’s responding to its fans’ needs, they needed a larger phone with a stylus they could use to take onscreen notes, draw pictures with and launch some commands. 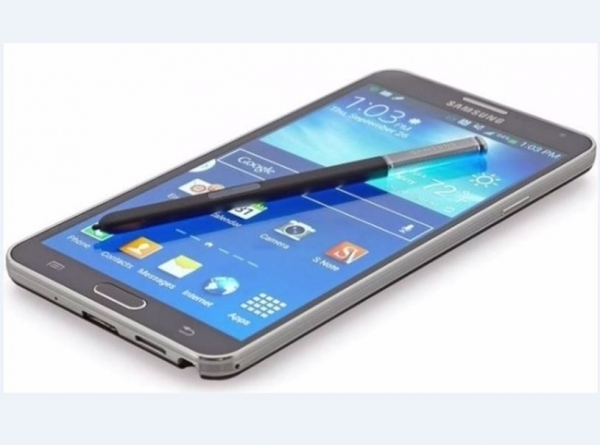 The Note 3 was a great achievement, winning the hearts of many Samsung fans who were very satisfied with the phablet’s design and performance, testament to it being considered the best Android phone in 2014. The Note 4 wasn’t much of a improvement, as it had pretty much the same faux leather back, but with removed fake stitching on the edges and replaced the silver plastic frame with a metal frame. When Samsung released the Galaxy S6 with a glass back, everyone agreed that this is by far the best design the South Korean company could use and most likely, the next Note 5 will ditch the polycarbonate back cover and feature a glass/metal build. We hear more rumors every day, regarding the Note 5’s launch. Only a natural disaster could prevent Samsung from releasing its new phablet, so we’re pretty sure we’ll get our hands on the Note 5 very soon, but the question is: when? The previous Note 4 was announced in September, but hit stores one moth later, but fans of this line didn’t trample over each other to buy the phone and Samsung ended the year with serious losses. This year, Samsung’s series of mishaps will end and the odds will be in its favor. The Galaxy S6 washed off the bad press the S5 suffered because of the ugly dotted back that drew attention in a negative way. 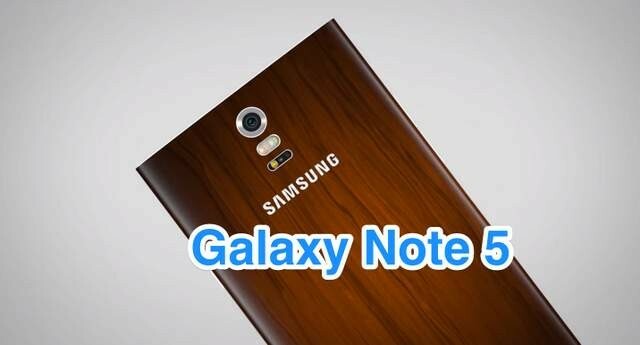 Now, it’s time for the Note 5 to improve Samsung’s reputation, we are anxious to see this phablet in stores, but the company hasn’t given any details about its release, there are rumors according to which the company will hold an event in New York, on April 12, and with this occasion, the Note 5 will make its appearance for the first time. SamMobile claims that the phablet will be put on sale on August 21, when the Galaxy S6 Edge Plus will be launched. The Galaxy Note 4 went on sale for around $980, being an exaggerated price which was reduced gradually, until it was dropped to $550 on Amazon. The Note 5 is expected to be more expensive, costing between $1010 and $1060. We have reason to believe that the Note 5 will feature a dual-Edge variant, because Roh Tae-moon, EVP of Samsung’s product strategy team gave an interview for Korea Herald in which he suggested that forthcoming phablet might feature a display curved on both sides. According to nowhereelse.fr’s report, the dimensions of the phablet will be 153.4×77.3×10.2mm, while other rumors suggest that the thickness will be much slimmer at 7.9mm. Regarding the size of the screen, it’s rumored to be 5.9inches and will support QHD resolution with 748ppi. SamMobile reported also that the back of the Note 5 will be made of glass and will be available in four colors: white, black, silver and gold. Likewise the Galaxy S6, the upcoming phablet will have a non-removable battery, but it’s not sure yet if it will feature a microSD card slot, or it will have fixed internal storage like the Galaxy S5. Recently, nowehereelse.fr and @OnLeaks showed some images of handset that are very similar to the Galaxy S6, but the rear panel looked like the front side of the S6 Edge, meaning that it had a curved edged. In addition, a slot was seen on the side, but we can’t be sure if it’s for accessing the SIM tray or to introduce a microSD card. In the image, there’s a USB port instead of the new Type-C, which is starting to appear on the latest flagships. SamMobile has information from inside sources who have said that the Note 5 will be powered by an all-in-one Exynos 7422 SoC which will contain 4GB of LPDDR4 RAM. Phone Arena believes that the device will actually support USB Type–C connectivity and that its battery will have a massive capacity of 4100Mah. The internal memory will be UFS 2.0, which was brought to the Galaxy S6, and the front camera will be 5MP with optical image stabilization. Techtastic.nl showed a print screen of a HTML code from Galaxy S6 and S6 Edge’s camera module, which seems to be identical as on other models listed as N925 and N920F. The model number for the Galaxy S6 is N920, the S6 Edge is known as N925, while the model number for the Note 4 is SM-N910 and for the Note Edge is SM-N915, which means that the N925 is attributed to the Galaxy Note 5, while N920F is, without a doubt, its Edge variant.